Our product range includes a wide range of two wheel garbage hand carts and garbage hand carts. 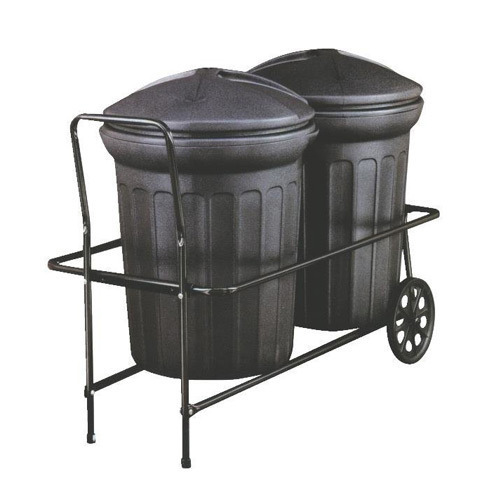 With the help of diligent experts, we are able to bring forth a wide assortment of Two Wheel Garbage Hand Carts. These carts are operated by means of hand are presented to our clients in series GHS. Before final delivery, a team of quality examiners stringently check these carts on varied parameters of quality, to ensure that offered cart is free from defect. In addition to this, clients can avail these carts from us in varied specifications in accordance with their needs. We are a trustworthy organization affianced in offering a quality assured range of Garbage Hand Carts. At an ultra modern manufacturing unit, this hand cart is designed by using well tested raw material and latest technology. 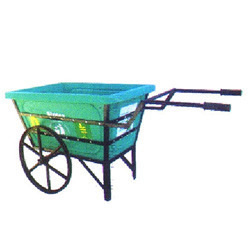 Moreover, we provide this hand cart in bulk quantity within promised time limit. Customers can avail these hand carts at budget friendly prices from us. 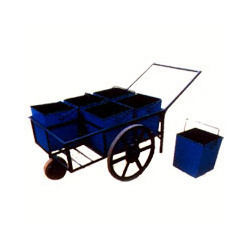 We are profoundly offering a comprehensive array of Garbage Hand Carts, which is designed and fabricated by utilizing high grade raw material, which result the end product of the finest quality. We offer customize option, in accordance with the requirements mentioned by the clients. These garbage hand carts are thoroughly examined against various quality parameters to make them quality approved before delivering to client's premises. Looking for “Garbage Hand Carts”?